Earning a college credit is helpful for anyone who wishes to finish college early. CLEP is the fast track to your educational future. The College Level Examination Program is one of the examinations that students can take in order to earn college credit from 2,900 colleges that grant it. Each institution awards the credit to students who meet the college’s minimum qualifying score for that exam. Also, each institution determines the exams for which it awards the credit and the amount of credit that will be granted. Make sure to review the college’s or university’s CLEP policy to know this information. The amount of credit you can earn from a CLEP exam can be up to 12 credits if you pass it. However, the amount of individual CLEP exam you can earn varies with each institution. There are colleges that place a limit on the total amount of credit you can earn while others may grant you exemption but no credit towards your degree. Minimum qualifying score for earning a CLEP credit may vary from exam to exam. Most colleges publish their required scored for earning CLEP credit in their general catalog or brochure. There are instances where colleges will not grant credit for a CLEP exam. If you have already attempted a college-level course closely aligned with the exam, some colleges will not grant credit for it. Also, some colleges will not permit you to earn CLEP credit for a course that you failed. Before repeating a CLEP exam, be sure to wait six months. Repeating a CLEP exam of the same title earlier than six months will make the scores not accepted and test fees will be forfeited. Aside from that, colleges usually award CLEP credit only to their enrolled students. To be sure if a CLEP credit can be earned, find out from the institution what type of credit you can receive and all other information before taking the CLEP exam. The military lifestyle is unfortunately not flexible. It is almost impossible to earn a degree to either get the skills needed to excel in the Army or to become an officer, or to make the transition to the civilian career world much easier. Fortunately, CLEP or the College Level Exam Program, exists for military personnel to get a college degree while they serve and without even enrolling in a class. CLEP allows soldiers to earn credit for undergraduate college courses through testing rather than classwork. CLEP exams are accepted for college credit in nearly three thousand schools across the U.S. including a number of online schools. Since CLEP exams are designed to replace full-blown courses for college credit, if you pass an exam, participating colleges will likely accept those credits. Most tests are designed to replace ones-semester courses, but some correspond to full-year or two-year courses. There are two categories for the CLEP Examinations: General and Subject. 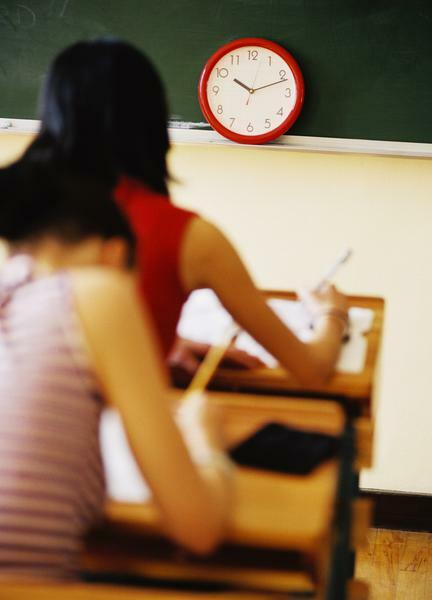 The general examinations cover broader areas while subject exams are much more specific. The exams are either conducted online or on paper depending on whether the taker register to take the exam at a DANTES test center, an on-base education, or a college campus test center. The DANTES (Defense Activity for Non-Traditional Education) funds the CLEP exams for eligible military service members and civilian employees. All active-duty and reserve military personnel, regardless of branch are eligible for DANTES funded CLEP. Although, anyone can take the CLEP, just not the DANTES funded CLEP exams. Inactive and veteran service members are unfortunately not eligible for the DANTES funded CLEP, though their education benefits can help them pay for college classes. CLEP exams are always free for soldiers who report to on-base and DANTES test centers while college testing centers require a small registration fee. Still, you can work toward a meaningful civilian career. CLEP is a good way to earn a college credit saving you time and money. Having a good score on the CLEP test enables you to earn college credit for any course without really needing to spend some time and cash to sign-up and finish it. It offers a superior opportunity to receive credit for things you already know, stuff you learned through on-the-job training, internships, or perhaps personal study. One of the advantages of CLEP is that students don’t have to spend money on subjects that they don’t need. It helps you to save money by not having to pay the schooling and also the miscellaneous for the subjects that were credited by the CLEP. Students that earn college credit through CLEP exams can graduate in 3 years rather than four, or finish a whole semester early than students who take the traditional classes. That’s an additional year or semester, which gives you more opportunity to earn more courses. You may also jump straight ahead to higher-level courses if you are able to pass through the required CLEP exams to satisfy your lower-level needs. By doing this, you will not have to spend your time re-learning material when you may be investing that very same time learning something new. You don’t have to spend an hour attending a class you already know. Using CLEP exams to obtain credit for opening courses provides you with a good amount of time to enroll in the courses you really wish to take. This advantage of CLEP exams can make your time and effort in college more meaningful. A lot of students who are interested in taking a credit by examination recognize mainly the CLEP program. A credit by exam lets you take a credit by getting a good score on a certain course that you will take. The exam will test your knowledge and familiarity of the subject matter. There are other known credit-by-examination programs offered to students like the Dantes credit by examination. It is the same with CLEP which is also widely accepted and recognized by colleges and universities all over the country. It is open to everyone who is interested to take the examination with over 2000 colleges and universities who will recognize your score once you pass the exam. For each passed DSST exam, you will gain 3 college credit hours which can be equivalent to one course. Imagine what a huge opportunity it is for you to save your time on college as well as money, for you are no longer required to pay for that subject. There are some DSST exams that offer upper-division credit which you can use on your major. The test is not as easy as it sounds, many fail with the examination. It still requires some review and enough preparation to increase your chances to get a good score. The main goal of the Dantes Credit by examination is to make the college more affordable and less time consuming without compromising the quality of learning and education. The purpose of the examinations is to test whether the students are already an expert or very familiar with the subjects. If they do, they no longer need to take that subject again in college to avoid repetition. The DSST was initially intended to support service members and for active duty and veteran members. The tests are available to civilians as well, and are now being managed by Prometric, an educational services company. This means that anyone who is interested in saving time and money on their path to a college degree can make use of DSST. The DSST exams are currently available in 38 subjects and accepted in almost all colleges and universities. Taking the CLEP exam requires a lot of preparation and focus. There are some who finish and pass without any hustle or retake. However, there are those who don’t pass or score below credit minimum. 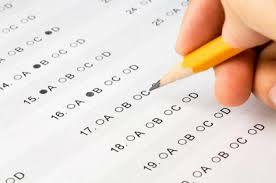 It’s necessary to know how the scoring works in order to make good test taking strategies for yourself. Most of the questions are multiple choice. These questions are reviewed and checked by the computer. The essay portions are graded by English professors from different colleges who are specifically picked by the College Board. The score you receive from the essay will be combined with your score on the multiple choice portion. It will then appear as a scaled score in the report. You’ll notice that there are portions of the exam that are optional. Most of them are essays and are required by specific colleges. The college or university that requires the question will personally check the answers, rather than the College Board. On the multiple choice questions, you will get one point for each correct answer. When your answer is wrong for a certain item, it will not be deducted from your total score, as well as the unanswered items. It is important to answer every item to get a chance of getting a correct answer than leaving it blank and get no chance. Your totaled scaled score will be shown on your score report. Your score will be in between 20 and 80. If you register for a CLEP exam online, you can name the college or certifying agency that you desire to receive your CLEP test scores. You don’t have to pay for your transcript request; the payment will be included in your exam fee. The humanities subject includes numerous subjects, including history, literature, music and art. For those who have a humanities background, you might want to go ahead and take the CLEP test. Passing the CLEP, also called the college-level examination program, provides you with the chance to earn as much as six college credits, which might apply toward your degree. Understanding how to pass this test may reduce the number of classes you have to take throughout your college career. The initial step in planning for that test is to be aware what the exam entails. 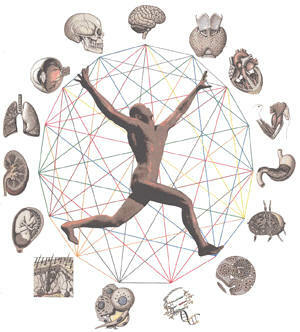 The humanities CLEP test covers music, art and literature. You will have to know and find out the works of specific authors and be aware of the qualities of their writing. In addition, you will have to know the specific types of poetry along with other writings. The exam will ask you questions made to test out your general understanding of certain artists, pieces of art and also the history surrounding these, along with other subjects within the humanities. You may even have to identify works of art, sculptures along with other artworks. The exam includes 140 questions that you’ll want to accomplish within 1 hour 30 minutes. Knowing you’ll go ahead and take the CLEP humanities test later on, spend some time reading through a number of works. Concentrate on classics and popular modern works. You will have to read poetry, plays, short tales, books and nonfiction works to have a good start. When you don’t have time to read a number of works, you might want to study books that provide an introduction to subjects in the humanities. You might not have just as much success using the test just like you browse the works themselves; however, this may give a better approach in studying when time is a concern. To organize, you need to listen and focus on a number of music styles that will help you get ready for the exam. Review music styles and ideas, and acquaint yourself with a number of artists. You might request buddies or relatives to listening to a bit of music so that you can practice determining the composer or song. Make flash cards with questions regarding artists and composers. Just like other parts of the humanities, you will need to study a number of visual arts. This can include works of art, sculptures and designs of architecture. You must also know the concepts behind film and dance, in addition to being capable of identifying specific good examples. Make yourself familiar with the method and your good to take the exam. The technique is to be familiar with the common, significant and noteworthy details related to humanities. The CLEP exam is a good way to earn credits depending on the knowledge of the student in certain subjects. You can take it by applying and getting a schedule for the exam. However, the homeschool CLEP has become a well known option nowadays, as more homeschooled kids as well as their parents, uncover what an effective way it is. CLEP is among the most accessible credit-by-examination choices for generating college credits. You are able to save considerable time and cash by putting your children to a fast-track to graduation. It is very easy to integrate the CLEP to the home schooling program of your child. You just have to equip your child with higher study guides and preparation materials. These should detail exactly what the exams cover, give sample questions, and supply tips about planning and creating a training program. All exams possess a multiple-choice section, although some also provide an essay section. Home schoolers simply must see a nearby senior high school or college that provides the tests and bring them there. CLEP exams are offered year-round, meaning that you could homeschool CLEP subjects without notice, instead of arranging your studying around a specific exam date. You have to pay the college the needed costs at the time of the test. The CLEP college credits of your child are very simple to record on homeschool transcripts. For every test passed with a score of 50 and above, you can record one high school credit. It is not necessary to count the hours spent on studying, since you can base the time credit earned on the student’s accomplishment on the examination. 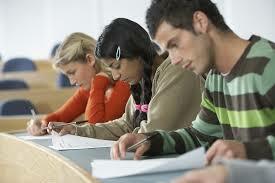 Indeed, homeschool college credits are easy to accomplish when you do a homeschool CLEP exam, it is worth the try. The acronym of College Level Examination Program, CLEP is really a set of examinations provided by the College Board, a not-for-profit examination board in the United States, established in the nineteenth-century. The College Board controls conventional assessments, such as the SAT, PSAT/NMSQT, CLEP, ACCUPLACER, and Advanced Placement assessments and the subject-specific SAT Subject Tests. CLEP provides the opportunities to the learners of any age to show their college-level success through a sequence of assessments. There are about 2,900 universities that allow university loans and/or advanced degree status for CLEP assessments or exams; a credit is a system that provides weighting towards the price, degree or time specifications of an academic course. 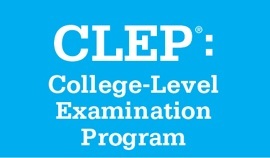 The CLEP assessments facilitate the US learners in high schools or universities and colleges to generate credits for the effective completion of each class for each academic period. The state or the company in most cases, places a minimum of credits required to graduate college. The CLEP assessments are usually 90 minutes long and currently cost $60 each. These assessments are organized at examining facilities on university and college campuses, as well as military installations; the facilities impose an administrative or signing up fee per college student or per test, which might range from $5 – $60. The CLEP assessments are free to military service people. The Military Services whose members are eligible for a CLEP tests consist of Army, Navy, Air Force, Marine Corps, U.S. Coast Guard, Army Reserve, Air Force Reserve, Marine Corps Reserve, Navy Reserve, Coast Guard Reserve, Military and Air National Guard. The CLEP assessments are on a range from 20 – 80 multiple-choice assessments that provide outcomes. The credit for a grade of 5 – 0 or greater is given by almost all educational institutions, but driving ratings differ from university to university.